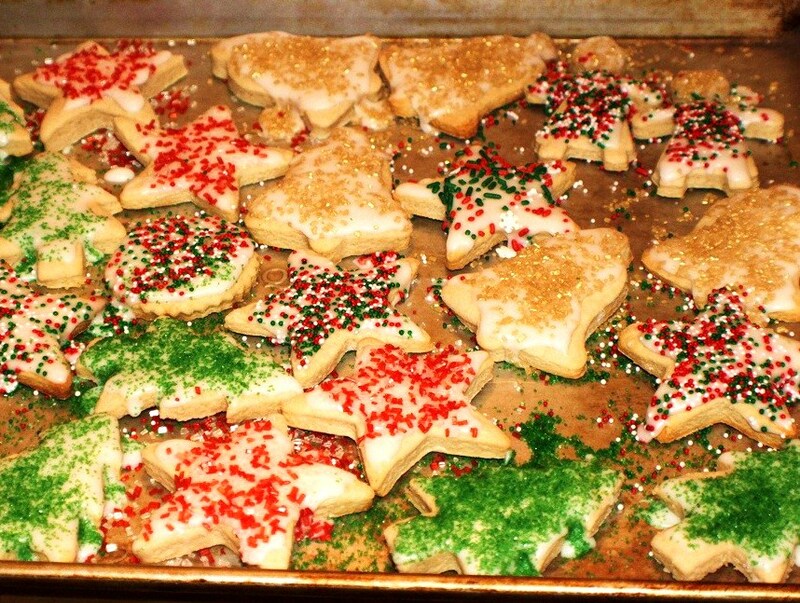 One of my favorite cut out cookies for kind of holiday . You can make Christmas, Halloween, Valentines, anything you want. These are just a great dough so versatile to work with. As a kid you always had a favorite color and saying that was your special heart for that someone special. I loved all the white ones that tasted like pineapple. They always seemed to be the ones that said I'm Yours!.... a one man woman I am for sure! I have seen several cookies made with the Royal icing that you just dip into the bowl and its perfect and smoothly iced, but this is a butter cream frosting and taste so much better. I love the taste of the icing on the cookies. Plus tinted color and in the flavors...it will surely bring back some old school day memories. Cookies that say I love you, are always the best, a meaningful way to give your family that special treat and personal message. The icing is so simple, you just need a variety of food coloring and flavoring. Raspberry, Mint, and Strawberry, Pineapple . The blue ones are the Raspberry, did you guess that? Easy to cut out and bake in a 350 oven a very buttery cookies, be certain to transfer to wax paper as they are a delicate cookie. The dough works much better when chilled first. Mix all together and refrigerate overnight or for at least one hour. Roll out cut into shapes of your choice and bake on a greased cookie sheet at 350 for 8 minutes or until edges are slightly browned. Frost in various colors of food coloring. Red, Green, Blue, Yellow. Flavoring to correspond to these are Strawberry (red) (one drop each of food coloring) Mint (green) Raspberry (blue) Pineapple (yellow) You can find these flavorings in any baking section in your grocery store. parchment bags with number 2 Wilton's writing tip(round hole) for writing on cookies you can also use piping gel if you like or pre made in the tube at the grocery stores. Beat until smooth, add more water if too stiff, needs to spread easily. Separate into bowls coordinate food coloring and flavoring in each bowl . Make more or the color you are going to write valentines scripts with. Frost cookies let dry for about an hour. Take a parchment bag, fill with darker colored frosting to write various saying. Option for those of you that don't care for frosting try using white chocolate coating, melted by directions in the microwave, add flavorings and food coloring.. These are adorable and would make such a sweet Valentine gift! Oh Claudia! This is too sweet. In all ways. Even my college kids are oohing and ahhing. @drick lol that made me smile really big!! @daydreamerdesserts thanks from the heart for sure on this one!!! Sweet post from a sweet foodie friend! Love the flavored butter cream icing. Great idea but not surprising considering the source! I want one too!! That's the kind of icing that I eat before it ever ends up on anything. o,l'amore che muove la sole e l'altre stelle...so pretty cookies,claudia! They are just so sweet! What a lovely thought! Bravissima! Oh! Valentine cookies - haven't even thought about it yet. Wonderful as always! Hey, I have nominated you for an "Honest" award! Check out my link for the details. Um, Claudia, these are the cutest things in history. Seriously, the cutest. These cookies are so lovely. The perfect Valentine treat. these are SO adorable! I need to make these for my students! ahh im in love with how cute they are! These are so cute! And much more delicious than the candies! Love that you used butter cream. This is the cookie that most represents Christmas to me. But since our kids grew up it is the cookie we stopped making. Maybe I will make a batch this year. These cookies are adorable!! Great idea for Valentines day! Yum! !